A Tel Aviv court sentences Anat Kam to 4½ years in jail for stealing IDF documents and leaking them to a reporter for Haaretz. A Tel Aviv court has sentenced Anat Kam to 4½ years in jail for stealing IDF documents during her army service and leaking them to a reporter for Haaretz. The stiff sentence, harsher than expected by many mainstream journalists, was far less than the maximum 15-year prison term she could have received for collecting, holding and passing on classified information to Uri Blau, a reporter for Haaretz. Prosecutors have not decided whether to indict him. 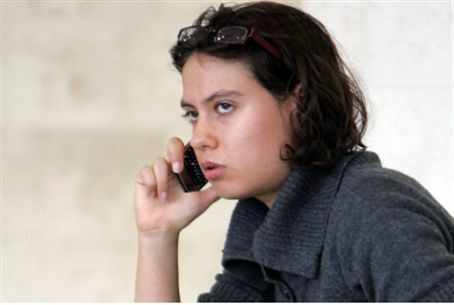 A plea bargain reduced the original charges of espionage after she was arrested in January 2010. The three-judge district court issued its ruling with sharply critical language in its unanimous decision, totally rejecting her arguments that her actions were a one-time violation and that she did not understand the danger she caused to the country. The judges noted that she collected the secret information over a long period of time, stealing more than 2,000 documents, some highly classified, from a computer at Central Command, where she served as a soldier. Approximately 700 of the documents were marked classified or top secret, and she tried to use the documents to expose her interpretation of them, which was that army officers had violated High Court rulings by approving the assassination of wanted terrorists instead of arresting them. Blau used the documents and published his conclusions in late 2008.